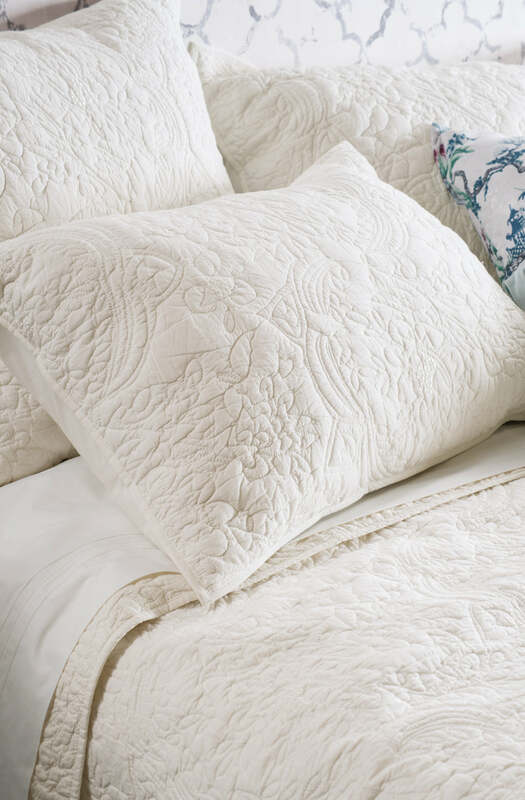 A beautiful 100% cotton hand-led machine stitched quilted pillowsham in an intricate allover floral design, finished with delicate satin embroidery. 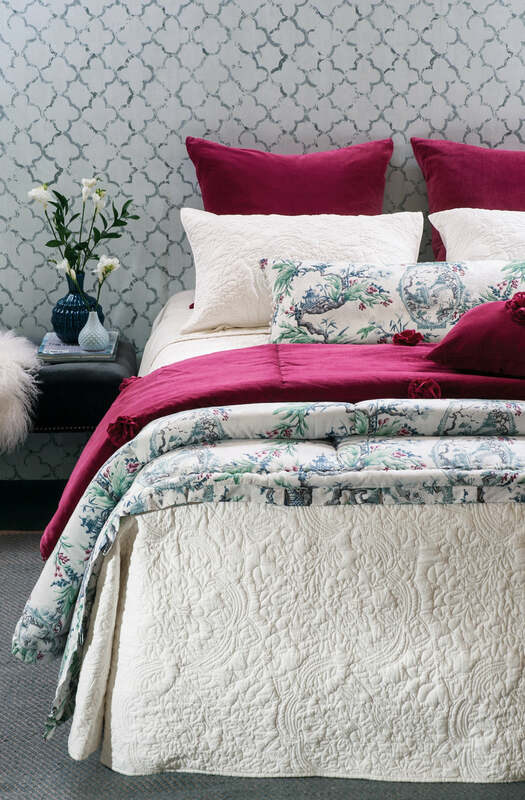 Available with matching bedspread and euroshams. Please send me a sample of the following swatch for amberley ivory pillowsham.